Hemp is a plant with a wide range of uses. Its seeds are an excellent source of Omega-3 and 6, and amino acids. Its fibre makes a durable fabric that is resistant to UV light, mold and mildew. Hemp seed oil is a rich source of polyunsaturated fats, a natural emollient and moisturizer useful for cosmetic products. 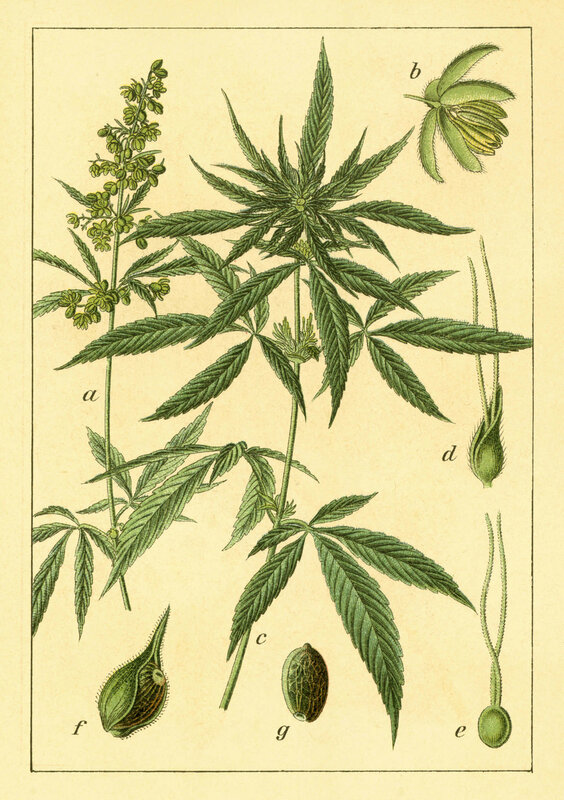 Hemp is related to marijuana, but it has only a tiny amount of the intoxicating substance tetrahydrocannabinol (THC). Commercial production of industrial hemp was legalized in 1998 through the Industrial Hemp Regulations (IHR) under the Controlled Drugs and Substances Act (CDSA). This created a licensing and permit system for the control of hemp production, sale of seed and fibre, and trade. Health Canada issued Section 56 Class Exemptions within IHR in 2016 and 2017 to simplify the licensing system and to generally reduce the regulatory burden on growers. Health Canada also issued a whole plant harvest exemption in August 2018 which allowed licensed hemp growers to collect and store flowers, leaves and stems (chaff). Industrial Hemp Regulation was moved from the CDSA to the Cannabis Act in 2018, which has again simplified the licensing system and allows for whole plant (seed, fibre and chaff) production, storage, processing and sales. Licensed cultivation acreage of Canadian Industrial Hemp has increased from zero in 1998, to 55,854 hectares (138,000 acres) in 2017, with sales of $60 million at the farm gate, more than $130 million in processed products, and $93 million in exports. Our 2023 industry goal is to seed 182,000 hectares (450,000 acres) with sales of $200 million at the farm gate, $1 billion in processed products, and at least $750 million in exports. While we are moving in the right direction, more work is required. The Canadian hemp industry produces four primary product categories; Food, Feed, Fibre and Fractions. 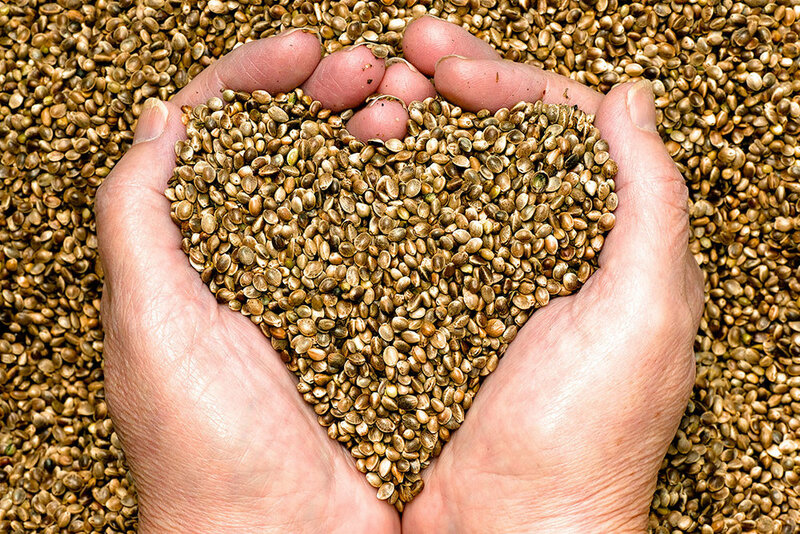 Research efforts must continue to support the development of hemp seed genetics. The resultant single- and dual-use certified seed cultivars and varieties will be optimized to produce grain (for food and feed), fibre, and cannabidiol (CBD). The development of domestic and international standards for all hemp food products will allow Canadian quality and safety advantages to be quantified and valorized. The Canadian Hemp Trade Alliance (CHTA) is currently developing these standards and is working with ASTM to establish those same standards internationally. Canadian hemp products are not allowed to be used as livestock feed in Canada. This has increased the risk to Canadian producers who are not able to sell into the food sector due to a combination of specifications and market conditions. Currently, the only option is selling seed to the European birdseed market at salvage prices. Canadian hemp processors of dehulled hemp seed (hemp hearts) do not currently have a viable market for hemp hulls, which is 60 per cent of the seed weight. This results in a major disposal challenge that reduces economic returns to the sector. Opening the livestock feed sector to Canadian hemp seed and processed hemp seed derivatives will eliminate a great deal of the market risk, allowing for a confident and consistent expansion of production. Currently, most hemp fibre produced in Canada is disposed of by farmers– often by burning the bales. The main constraint to profitable use of hemp fibre in Canada is the lack of capacity for fibre separation (called decortication). Our industry will need to reach a critical mass of consistent hemp stock in specific market regions to gain the investment required for these facilities. Industry expansion to consistently meet that critical mass is central to attracting the required capital investments in primary and secondary fibre processing. Industrial hemp flowers and leaves (chaff) can now be collected and sold for the purpose of extracting CBD. By regulation, industrial hemp must produce less than 0.3% THC (weight by weight) in the flowering heads, so the potential for THC contamination has been eliminated. Health Canada has restricted the processing of CBD to Licensed Producers (LPs) and has further restricted the sale of CBD to medical marijuana and provincially regulated marijuana retail sectors. The CHTA believes that CBD has a much lower risk profile than THC and therefore should be regulated as a unique product. The Government of Canada can allow the extraction of CBD to be conducted outside of the Cannabis Act and allow the sale of products containing CBD as a food ingredient at low dosage, and as a natural health supplement at moderate dosage. High dosage products can continue to be regulated as pharmaceutical/prescription products. This approach is supported by risk evaluations completed by the World Health Organization in 2017 and is similar to that proposed in the US Senate’s version of the Farm Bill. Excessive regulation of CBD processing and sales will put the Canadian industry at a competitive disadvantage at home and in export markets. Working with a national network of field researchers, CHTA is field-testing industrial hemp cultivars in several Canadian growing regions. This research will provide baseline data to guide hemp producers in the selection of cultivars that respond best to their agronomic conditions, while meeting their specific production objectives. Working with Innotech Alberta, CHTA plans to complete detailed research on heavy metal (i.e. cadmium and lead) uptake by hemp in several Canadian growing regions. This work will support the development of both industry standards and the eventual registration of hemp as a livestock feed. Working with the University of Manitoba, CHTA plans to complete hemp feeding trials with swine and cattle. This work will further promote the use of hemp products in the commercial livestock feeding sector as well as support the registration of hemp as a livestock feed in Canada.